If you’re going to be on the Island of the Gods during Halloween week this year, don’t miss out on the madness. Bali has a slightly spooky feel during this time of year with dozens of different shrines draped in chequered cloth, and many protection prayers being said at the temples. The goal, keep the demons away while you kick back and celebrate that it’s nearly the end of the year. Of course, the locals have their own way of celebrating, but in recent years expats have also established traditions for both adults and children. Read on to discover a list of spooky things to do while you’re here. 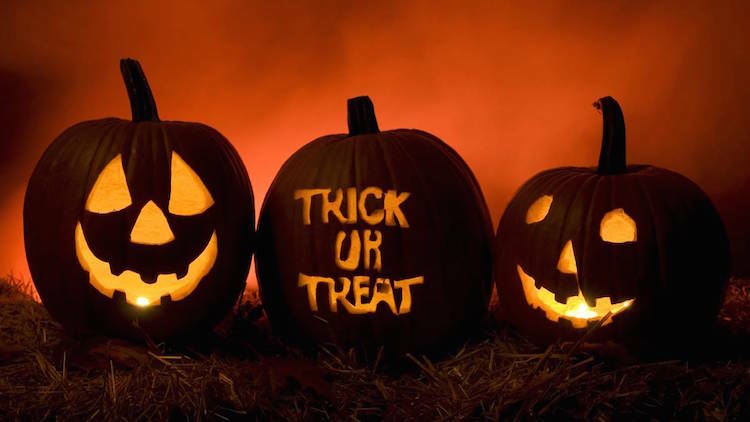 Dress ups are fun for all the family but if you don’t like the idea of going out, then consider throwing your very own Halloween celebration in one of our swanky villas. 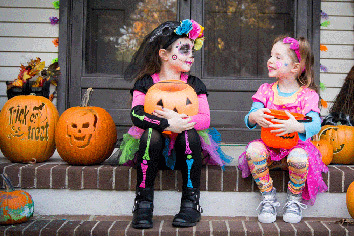 While it’s not officially Halloween on the 27th, Saturday evening is a great day to celebrate with the kids, and you’ll hopefully get to sleep in the next morning. 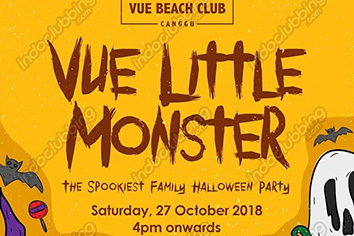 Little Monsters is a gig at Vue within the LV8 resort in Canggu. 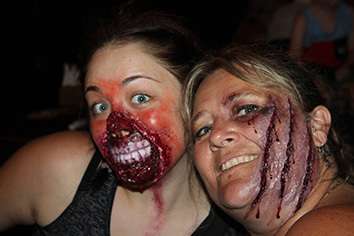 From 4pm in the afternoon they’ll be offering ghoulishly good fun for kiddies of all ages. Entry is free, and the venue is right on the beach so you can combine it with some sunbathing. They have face painting, a little monster disco, a treats station and even little monster performances to gently scare the giggles into your kids. Also on the Saturday before Halloween, this cupcake decorating workshop is perfect for little ones and hungry mums. It runs from 10am to 1pm allowing enough time for the kids to recover from their sugar high before bedtime. It does cost 250,000 IDR per person, but your host Scarlet Pastry will guide you to ice a range of Halloween themed cupcakes with 3D fondant and buttercream. Yum! We all know the reason that Halloween parties for adults are popular. The drinking, the partying and the chance to be incognito for the evening. 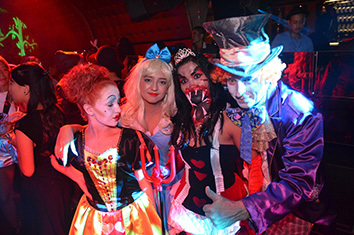 Read on to find our pick for mischievous Halloween gigs for those who like to dress up and those who prefer to keep the horrors on the inside. 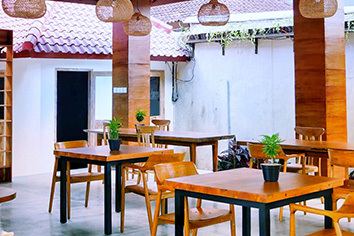 Also on Wednesday the 31st, Som Chai in Kerobokan is offering what they’re calling a “Multisensory extravaganza with a twist on the usual 40 Thieves debauchery” Entry is free and there are prizes for best costume as well as 2 for 1 cocktails between 8-11pm. 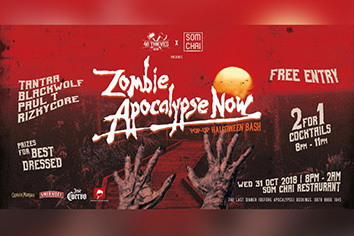 If you want to do your research; the DJ’s are Tantra, Blackwolf, Paul T and Rizky Core and, if you want to be wise and last the evening, we recommend you make a booking for their pre-apocalypse dinner before the madness begins. 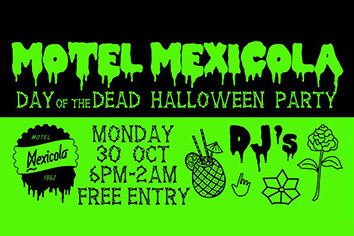 This recurring Mexican style Halloween event is always a blast and this year’s theme is “Apocalypto”. 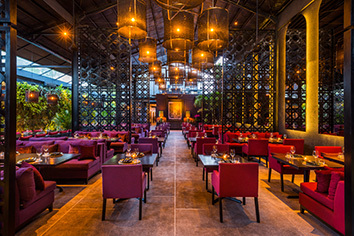 The restaurant is famous for table dancing and will be done up like a haunted house. Scary trees hang from the ceiling, sugar skulls will grace the corners, and there’s even a huge purpose-built pyramid to honour the ancient Aztec Gods. Don’t make the mistake of showing up underdressed for this one, you may not be allowed through the doors, and you certainly won’t win a prize. This is a free event open to 21+ years old, so leave the kids at home. If hip-hop or techno is your thing, then this gig in a spooky abandoned kindergarten in Berawa could be the perfect evening. It’s on Saturday the 27th from 5pm onward. 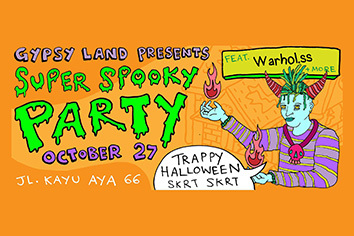 There are multiple rooms of horror built to scare the pants off of you and UNOTHEACTIVIST is playing. 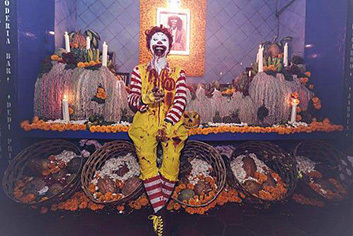 The atmosphere will be horror-based, but the dress code is more casual. Either ratchet or chic. So tart yourself up as an uncouth wretched woman, a chic lady or a real gentleman and get yourself to Gypsy Land. Tickets are 300,000 IDR for this one, but it’s probably worth the cost for a night of ghoulish laughter in the Gu. 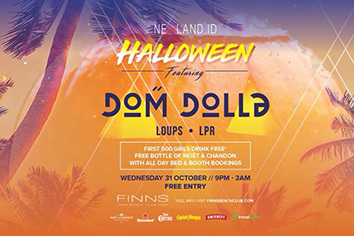 On Wednesday 31st, Finns Beach Club in Canggu is bringing over Dom Dolla, an Australian techno DJ. Entry is free, and the first 500 drinks are free for the ladies. The club is open until 3 am so you’ll be able to party hard. This is our top vote for a place to go if costumes aren’t really your thing and it’s quite a beautiful setting. ITS ALIVE!!! After dark the Monsters and Zombies come out, lurking in the darkness waiting to terrify you… waiting to thrill you…. waiting for you to SCREAM!!! 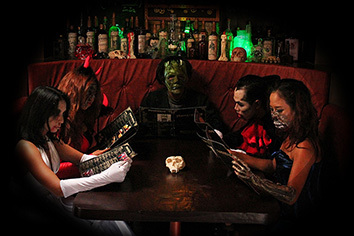 ​And you’ll find them all at Frankensteins Laboratory, Zombies, Monsters, Vampires & Mummies!!! Where the dead come back to life for a night of great entertainment, live music, creepy cocktails and all the things that go BUMP in the night! 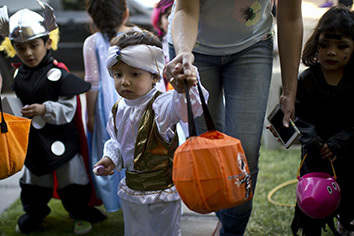 So there we have it, our top tips for kids and adults in late October. Halloween may be a commercialised holiday but this is an island made for fun so why not indulge yourself? If you haven’t got your accommodation sorted, BOOK NOW make sure you check out our range of impressive villas here. There’s something for everyone – whether you’re a family or a group of friends on a tropical getaway.